As you look toward the future and outline goals for your life – whether it is a new vacation home, a comfortable retirement or leaving a lasting legacy for your family – it becomes clear that you will need a comprehensive plan to meet those objectives. We help you develop a blueprint for a stable financial future. Once the plan is developed, we have the tools necessary to build that plan. Due to the benefits of an independent broker/dealer, we also have access to almost any product or service in the financial realm. 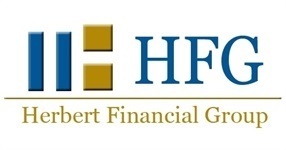 HFG Financial Advisors thoroughly analyze your personal situation, determine your risk tolerance and assess the market environment as we develop your investment plan utilizing a holistic wealth management approach to help you achieve your financial goals. We pride ourselves on providing exceptional Personal Service from a Dedicated Team to form an enriched and long-term relationship with you. At HFG, one of our areas of expertise is delivering full-service personal financial planning to automotive employees and retirees. We have spent over 34 years monitoring all changes and adjustments to GM benefits. Extensive knowledge of the GM, Delphi, FCA and Ford packages allows us to provide clients with the knowledge to take full advantage of their entitlements and to achieve their financial objectives. CLICK HERE to visit our GM & Automotive page and learn more about our expertise.